When Steve Jobs had ruled out a 7 inch sized iPad, there were plenty of tablets in the 7 inch segment. Though none had gone on to make sales history compared to the iPad. After Amazon’s Kindle Fire became so popular, however, Apple has been prompted to re-think its stand so far as a 7 inch iPad is concerned. The idea of a smaller iPad with a 7 inch display has been doing the rounds for quite some time now, and it appears that it might become a reality after all. Experts are guessing it could reach markets by October. While this is welcome news, the biggest surprise with the smaller iPad is that it is still expected to come with the retina display, which happens to be the biggest USP of the new iPad 3. What this means is that with 2048 x 1536 pixels crammed into a 7 inch frame, a pixel density of around 326 ppi will endow the new iPad with almost the same clarity as the iPhone 4S. 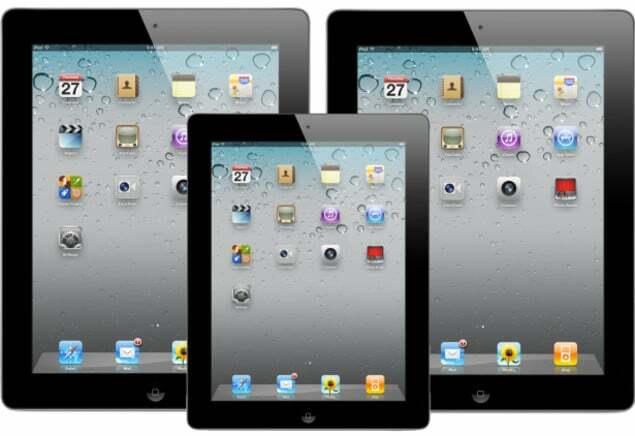 That said, the best thing with the new iPad could still be its price, which is likely to be around the $200 – $250 mark. Apple’s intentions are extremely clear, it simply does not want any room for its competitors and the above mentioned price point is vital for that strategy. Lately there have been a lot of tablet or e-reader/tablet hybrids entering that price bracket. These include the B&N Nook Color, Kindle Fire, the Kobo Vox, and many others. These devices settled down around the $200 price bracket, allowing Apple and others the premium segment. Now with Apple seemingly readying a 7 inch iPad, the budget tablet segment could become non-existent the way all other MP3 players went extinct after the advent of the iPod. Sources with imore also claim everything else with the new iPad will be just the same as the 9.7 inch version, which means Apple might have a killer device up its sleeve. Bad news for all other tablets.